This past week I have been thinking a lot about the concept of coaching and what it means for us as leaders. I’ve spent time with Toyota leaders, taught a class on Lean Leadership, and am immersed in Silicon Valley in my home life. And just two weeks ago I got to spend time in Kyoto with two of my influential coaches – Margie Hagene and Isao Yoshino. 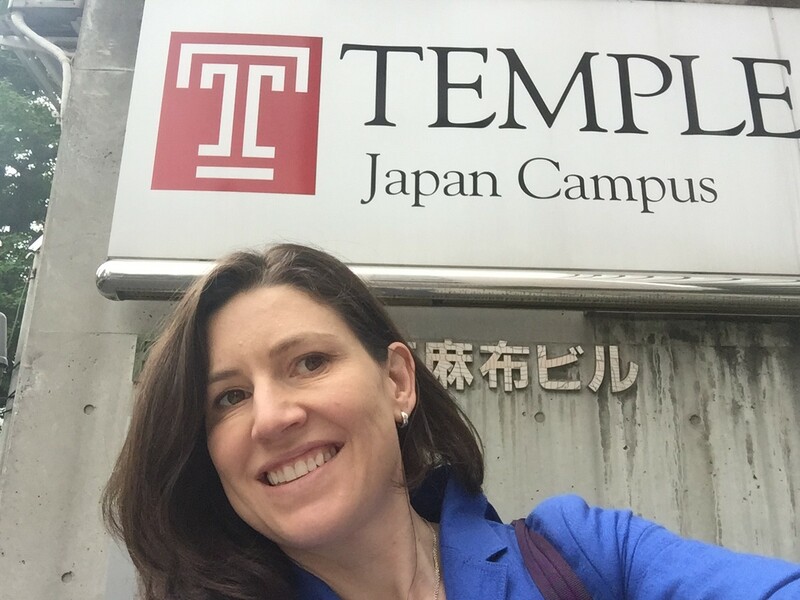 I just came out of teaching a one-day course at Temple University’s Japan Campus focused on skills for coaching for improvement and asking effective questions. 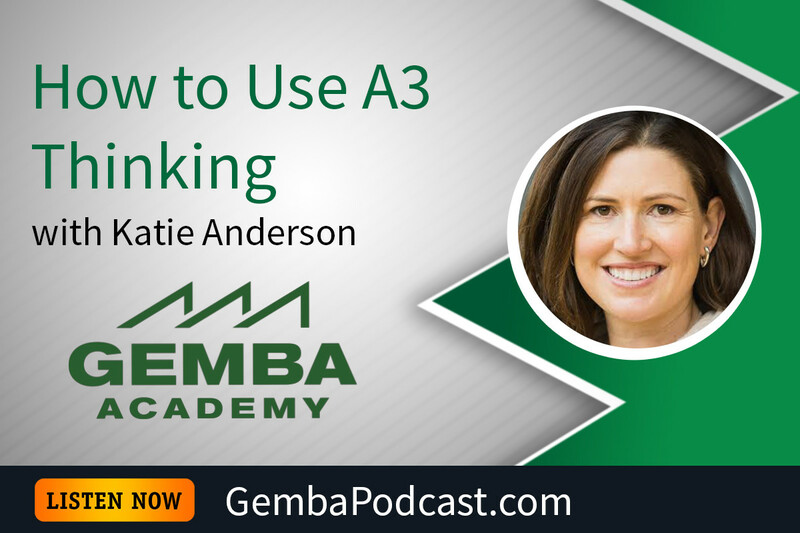 The class was a shortened version of a 2-day class I recently co-taught in California with Margie and that have taught multiple times in the U.S. and Australia. It was my first time teaching at Temple University and it was a bit of an experiment to see how the coaching material translated to a non-Western audience. The class was very engaged and my take-away is that these skills transcend culture and environment. 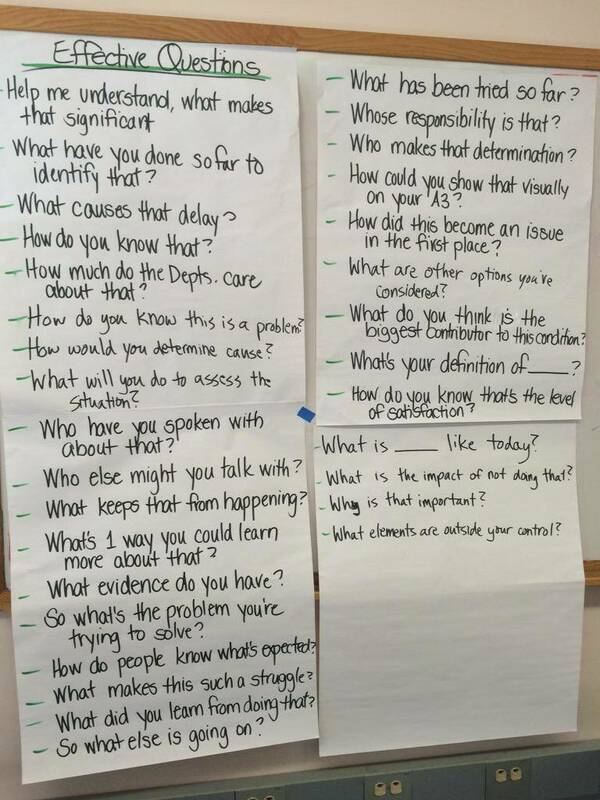 Coaching skills such as asking questions of inquiry are not automatic habits for most of us and require practice. Today’s class was billed as “Lean Leadership Skills”, but I modified the title to include “Coaching for Improvement”, as that was the essence of our focus. I opened the class by saying that the class is really about good leadership skills in service of developing problem solving capabilities in others. Ultimately, it doesn’t matter what you call it, or what your industry of country of origin is. If your goal is to develop other people’s capabilities, then coaching is just good leadership. Lean, the word used to describe what was originally Toyota’s management system, is fundamentally about continuous improvement and respect for people. Ultimately, how I define “Lean” is a leadership and management approach to developing an organization filled with problem solvers. Yes, there are production principles such as just-in-time, built-in quality, customer value, flow, waste, and pull, that are essential to improving processes to deliver customer value. But most important is how leaders set the challenges/goals for the organization, and then figure out how to develop the capability of everyone in the organization to apply these principles to solve the problems in their span of responsibility towards achieving the goals. 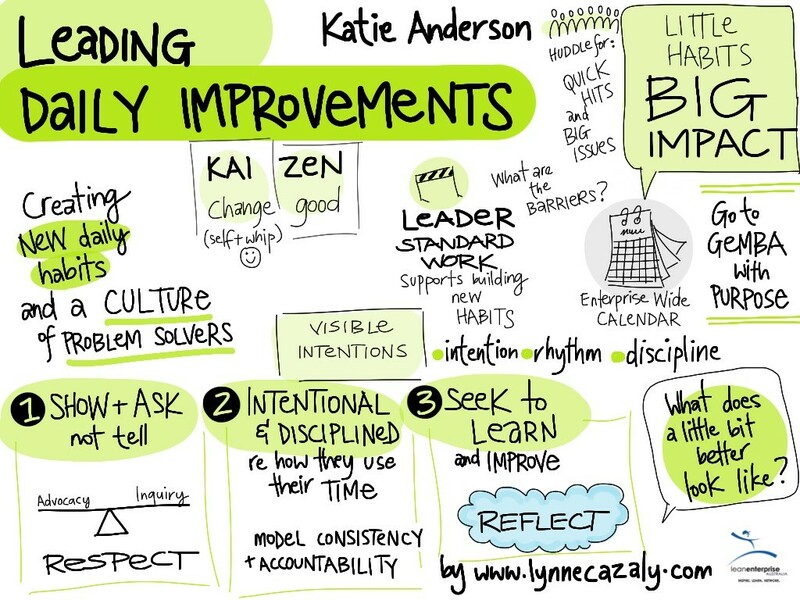 I shared many of my thoughts about Coaching for Improvement in a post about a plenary talk I gave eleven months ago at the Australasian Lean Thinking and Practice Summit called “Leading Daily Improvements: Creating New Habits and Practices to Support Continuous Improvement“. 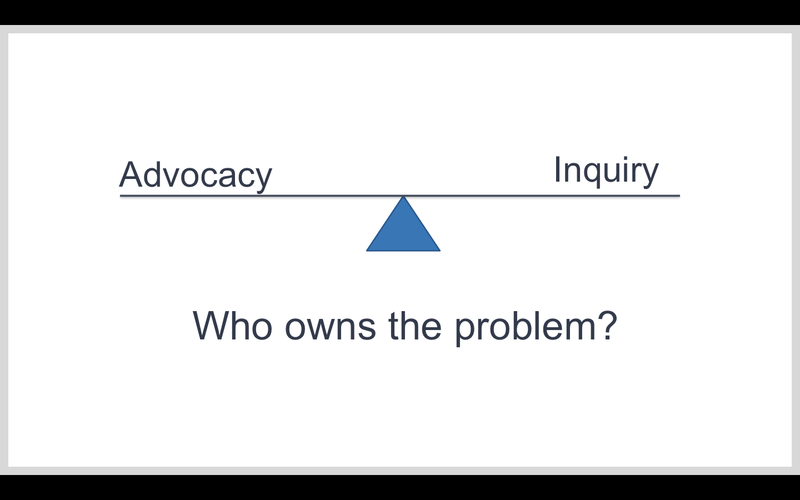 For example, our habit as leaders (and people generally) is to usually lead with offering our own position (advocacy), but when we advocate for a position, we end up owning the problem. Instead, if we practice inquiry, we can help other people solve problems and keep the ownership of problem solving with the person who is responsible for the issue. My friend and colleague Karl Hoover teaches a class on Lean Leadership for the Thedacare Center for Healthcare Value, in which he says:“Leadership before Lean”. What I take this to mean and believe is that the key principles of Lean or the Toyota Production System of developing people as problem solvers is just good leadership. Don’t get caught up in the name or the artifacts and tools. The tools are important, Lean principles are important, but leadership in service to developing people is most important. The concept of coaching was further reinforced to me this week when I spent the day with my friend and mentor Isao Yoshino, a retired 40-year Toyota executive, and two other Toyota leaders at Toyota Memorial Hospital in Toyota City, Japan. Between them, they had over 80-years of Toyota experience! The clear message of the day at Toyota Memorial Hospital, which I will be expanding on in upcoming posts, is that the Toyota Production System, regardless of industry (manufacturing vs. healthcare) should be focused on people development. One of the stories I shared in today’s class was from when I first met Mr. Yoshino nearly two years ago at the “Lean Coaching Summit”. At that conference, which I’ve written about in the Lean Post, he and John Shook talked about their “teacher and apprentice” relationship as manager and subordinate when John was the first foreign employee of Toyota. At Toyota, a leader’s role is to set the target, help his or her learner figure out how to achieve the target (not solving the problem for the learner), and to continue to develop as a coach and leader. Coaching is essential to leadership in any industry – and any country. These points about leadership and coaching were further reinforced to me this week when I saw a post on social media that my husband made about Silicon Valley’s “legendary” coach Bill Campbell, who died this week. My husband who works for a prominent Silicon Valley tech firm had a chance to learn from Mr. Campbell recently. He shared some quotes from Bill Campbell that stood out for him. I don’t know if Bill Campbell would consider himself as a “Lean Practitioner” or not, but he understood that the essence of leadership was to develop other people. Several of these quotes from Bill Campell resonated with me in anticipation of teaching my class on “Coaching for Improvement” today – and I shared them on Twitter too. These quotes are perfectly aligned with the message that I share and the practice participants have in asking effective questions. As discussed in a previous post about Innovation in Japan, Silicon Valley has now been able to apply the Toyota and Lean principles to innovation, product design and innovation – often called “Lean Start-up” and “agile”. As Bill’s quote highlights, coaching and developing people as agile problem solvers is the most important thing you can do as a leader. What are your gaps as a leader and a coach of others? 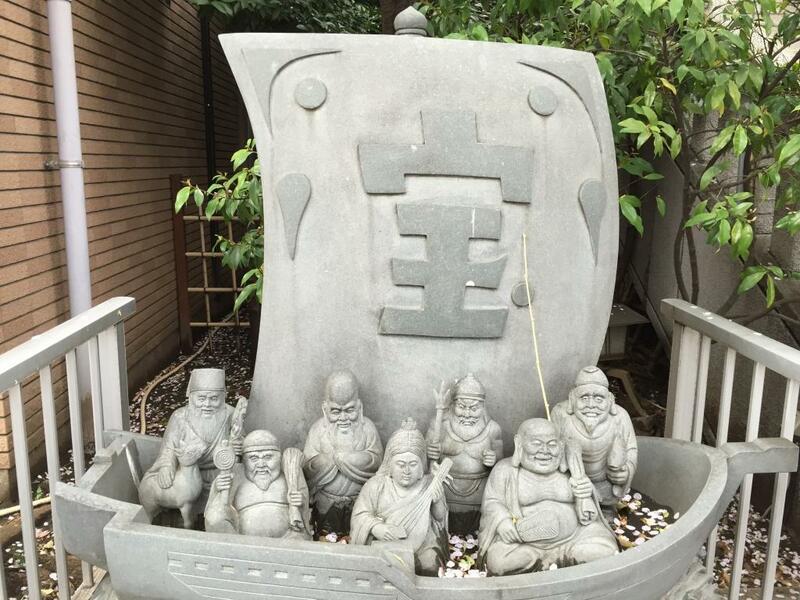 “Lean”, Toyota, Silicon Valley, or Japan – no matter the terminology or location, coaching to help other people improve and solve problems is just good leadership. 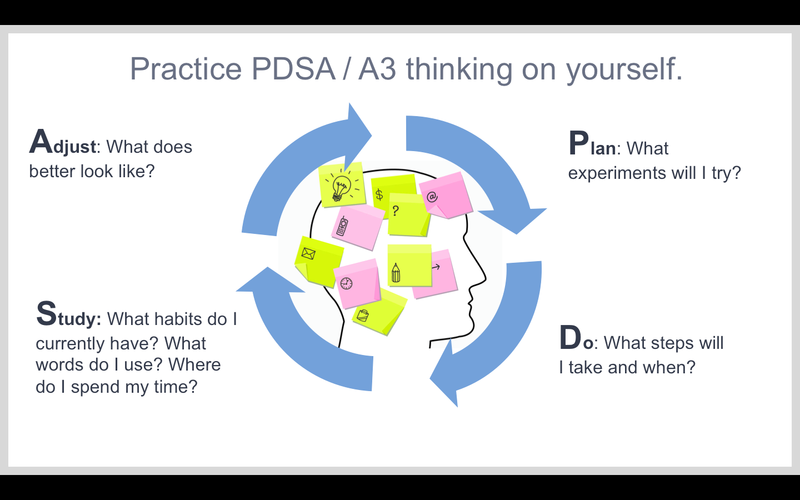 So how are YOU developing your skills as a coach who develops problem solving capability in others? If I can be of service to you or your organization, please reach out to me about how I can help you learn and practice these leadership skills. I’m lining up my coaching schedule for the second half of 2016 and would love to be of service to you. Helping develop others to learn and improve is my passion. 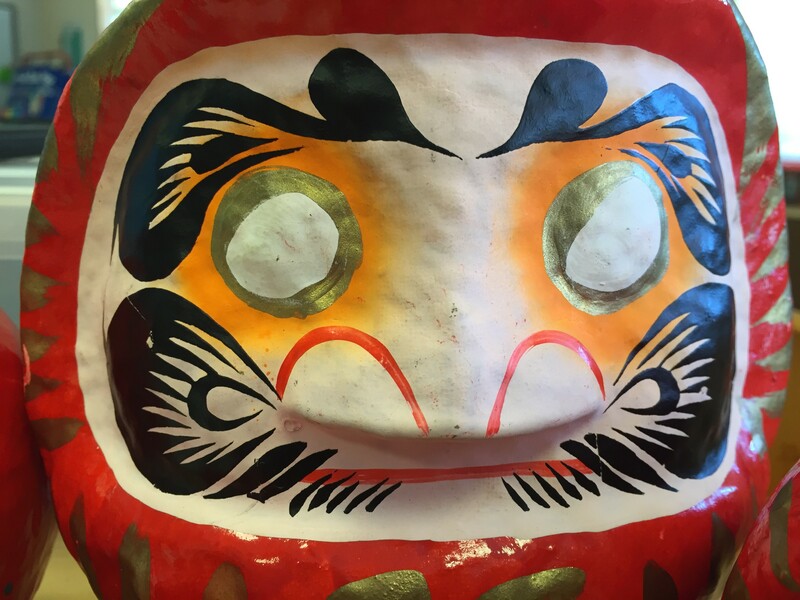 I have a backlog of posts that I will be publishing soon – from my visit earlier this week to Toyota Memorial Hospital, to factory site visits to two Japanese manufacturers with a strong kaizen culture, to insights and reflections on life in Japan. Sign up below if you want to be the first to know when new posts are up! As always, I welcome your reflections and questions below. Thanks!